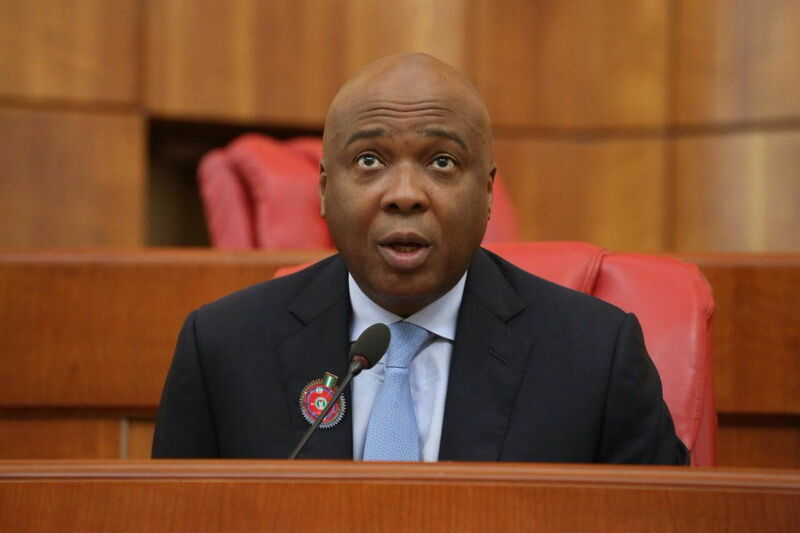 Senate President, Dr. Bukola Saraki, has identified inadequate electricity, infrastructural challenges, insecurity, and lack of access to funds as some of the factors militating against productivity in the short term in Nigeria. Speaking at the Georgetown Africa Business Conference 2018 (GTABC2018) in Washington D.C., USA, at the weekend, Saraki said Nigeria’s economy will record better performance if these challenges are tackled. He frowned at the perception of many people that oil is the mainstay of Nigeria’s economy, saying: “While it seems everyone in Nigeria views oil as the focus, it is actually not true – oil accounts for less than 15 per cent of the Gross Domestic Product (GDP). Nigeria’s true asset is its teeming population, of which the youth demographic is surging forward. He urged African governments at all levels to identify their areas of comparative advantage and build on them. “In Agriculture, governments are becoming more attuned to the need to develop the value chain along the entire industry. “When we look at Nigeria, which is seeking to diversify its revenue base from over-reliance on oil, it becomes apparent that we are not even close to tapping into the Agricultural Value Chain to any sustainable degree. Available statistics show that the country is currently producing below the recommended quantities. Take Dairy products; Nigeria spends $480.3million annually on milk importation, since local production only accounts for 34 per cent of our needs – that is 1.7million tonnes – about 10 litres per person per capita. This is in comparison to the global average of 40litres per person. When we even come to Africa, the average is 28litres. Sadly, Nigeria is the lowest on the Milk food chain. Of our estimated 20 million cattle population, only 2.3 million are used to produce Dairy. Nigeria,” he added. He emphasized the need to devise an economic model that produces and manufactures primarily for the African market, and then use that as a basis to engage and negotiate with the rest of the world. Saraki also said the value chain approach is based on the philosophy of comparative advantage and economies of scale. Burdens and benefits are distributed to increase efficiency and productivity, while adding value. Developing the African Value Chain potentially positions the continent to increase the quality and quantity of its participation in the global economy.